By Chris Nichols on Monday, April 15th, 2019 at 5:11 p.m.
During his first 100 days in office, California Gov. Gavin Newsom made early progress on campaign pledges to create universal health care, guarantee free community college and expand affordable housing and homeless services. In January, advocates praised Newsom for his budget proposal to spend $625 million on homeless programs, saying he’d given the issue greater priority than past administrations. 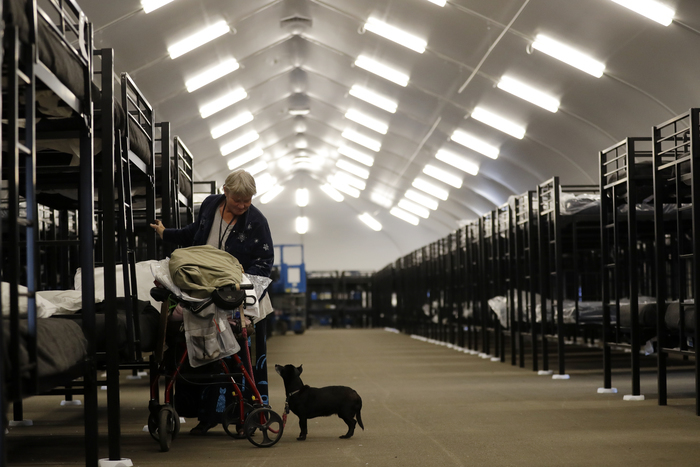 His current budget calls for $500 million in one-time funds for cities and counties to plan and build emergency shelters, navigation centers or supportive housing, all to help the estimated 130,000 homeless Californians. While Newsom has taken this initial action, he’s yet to move forward on one specific promise: Appointing a cabinet-level State Homelessness Secretary. But it might not be long before Newsom fills that post. He said in an interview on Monday with Capital Public Radio that he’ll announce this week that he’s filled the position. "I think we have 3,600 appointments. I think we’ve done justice," Newsom said in the interview. "We’re putting together, I think, a world class team." "We must address homelessness. I’ll create an interagency council to end chronic homelessness led by a cabinet-level secretary committed to solving the issue not just managing it," Newsom promised in a campaign video. Newsom’s campaign website described the promise this way: "As Governor, he will appoint a State Homelessness Secretary to oversee an Interagency Council on Homelessness – because we need statewide leadership laser-focused on this problem." 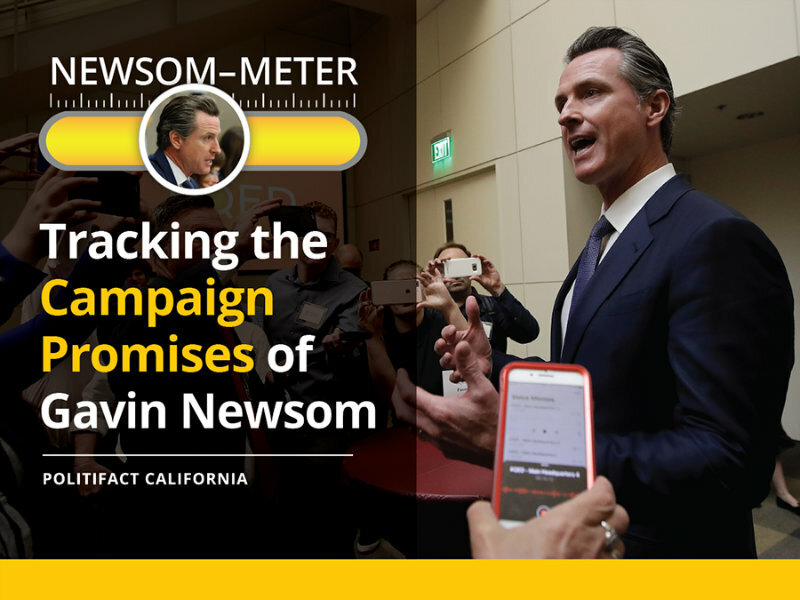 PolitiFact California is tracking this pledge and 11 more through our Newsom-Meter project. So far, we’ve rated four of Newsom’s promises on housing, healthcare, education and homelessness "In the Works," meaning there’s evidence of initial progress. Over his term in office, we’ll eventually rate these pledges as "Kept," "Stalled," "Broken," or "Compromise," depending on the action Newsom and the Legislature take. We spoke with several experts about Newsom’s promise to hire a homelessness secretary and also examined what he’s done so far to address California’s homeless crisis. California is home to one quarter of the nation's homeless people, though it represents just 12 percent of the country's overall population. It also has the highest share of unsheltered homeless, 69 percent, of any state. Two years ago, the state’s homeless population jumped nearly 14 percent as the nation's remained flat; last year, it declined 1 percent. "The numbers are absolutely unacceptable. You’re talking about virtually every county in the state— there are folks that are homeless," Paul Tepper, executive director of the Western Center of Law and Poverty, told us. Tepper said "it’s absolutely critical" that California "makes progress, and makes it soon" on its homeless problem by partnering with federal and local governments. He was less certain about whether that requires a state homeless secretary. "It depends on what the person can accomplish," Tepper said. "If the person or the council can bring more money to the table, can get more housing built than it’s important. We won’t know until we see the results. It’s kind of like relationships, it’s not what the person says, it’s what they do." By contrast, Chris Martin, a legislative advocate at Housing California, a nonprofit that advocates for homeless services, said he’d like to see Newsom hire the cabinet-level post. "It is a little bit concerning that we’re about 100 days in and we kind of haven’t gotten the update," on the secretary position, Marti said. "That person would be reporting to the governor and giving him updates on a daily basis and having his ear on a regular basis." Others believe Newsom needs to prioritize how he plans to address homelessness. Joel Roberts is the CEO of PATH, a non-profit that helps people find permanent housing in California. He said Newsom needs to tackle the issue another way. "I think what’s even more important than having a staff person is to actually set aside funding to address homelessness, and he’s done that," said Roberts. "I would rather have the resources than just have a staff person who talks." Roberts added: "I would hope within the first six months of his term that he would have somebody. But I don’t think there is a magic date or time either." Though he hasn’t fulfilled this promise, Newsom has made other strides to address the state’s homeless crisis. In February, we rated "In the Works," his more general pledge to expand homeless services. That followed his $625 million in funding proposals, including for homeless with mental illness and other disabilities, along with his call to streamline environmental reviews for homeless projects. Additionally, Newsom in January appointed Sacramento Mayor Darrell Steinberg to lead his newly created Commission on Homelessness and Supportive Housing. He said the commission's goal is to address the underlying causes that keep people on the streets. 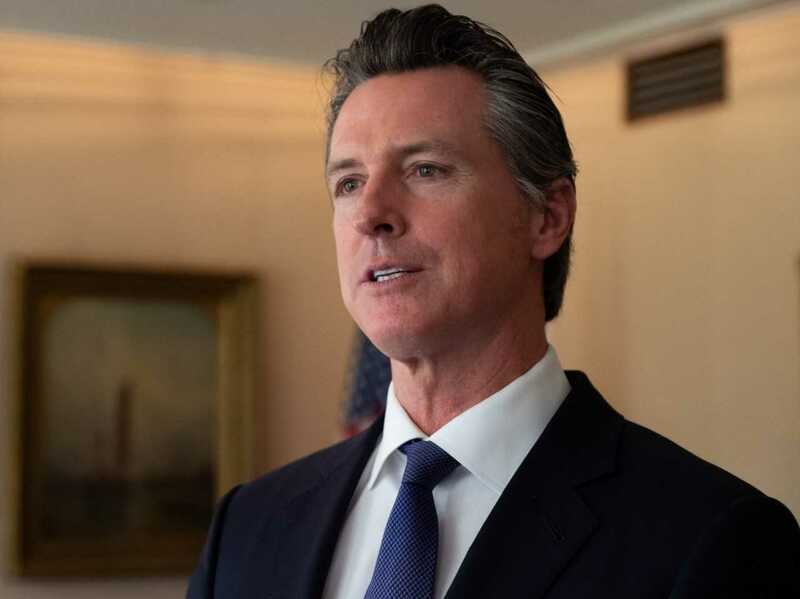 Last month, after meeting with the mayors of California’s 13 largest cities, Newsom said he was open to an even greater investment in homelessness funding. The mayors asked for $1.5 billion, far more than the governor proposed in January. "We haven’t been doing enough to support cities," Newsom said after the meeting. "And that means we need to invest more resources — and we need to provide the resourcefulness that is the spirit of innovation that drives this state." In fact, Newsom said the meeting was so "important" that he added, to the delight of the mayors: "The budget just changed." The governor’s office declined to elaborate on how his budget has changed, saying only that he would take the mayors’ recommendations into consideration. We’ll publish updates our Newsom-Meter promises as there’s progress, or a lack thereof, on each. PolitiFact California intern Sami Soto contributed research and writing for this story. We'll publish updates on Newsom's progress on each of 12 campaign pledges. We will rate outcomes, not intentions or proposed solutions, the same standard used for PolitiFact's other promise meters.